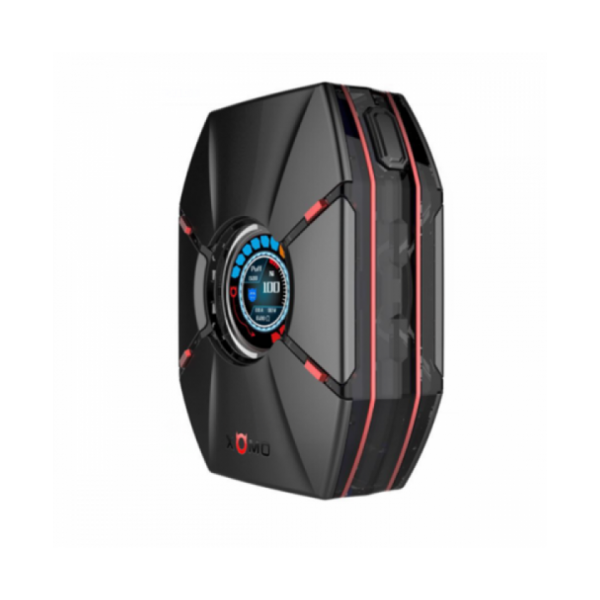 Cooperate with Yihi Electronic Co.ltd(SXmini), XOMO released EXO Armor 300W TC Box Mod, which is powered by removable dual 18650 batteries and is capable of adjustable maximum 300W. Made of high quality zinc alloy, XOMO EXO Armor utilizes classic matte black with fingerprint-resistance and UV protective surface treatment make perfect in every details.Designed by SJC, EXO Armor Mod uses Yihi SX550J chipset that customize you own taste with SXi-Q intelligent taste curve for multiple modes for you option and TFT HD screen with UI interface that displays main information including wattage, temperature, voltage, coil resistance, coil material, battery life and etc for you reference. Besides, there are 10 awesome wallpaper can change which you like. The changeable LED flash light can change into red, green, blue that 3 colours spontaneously. With one of the strongest magnet, the NdFe8 mangnet1 N52 magnet gives a mechanical feel. Moreover, The EXO Armor features 0.05ohm to 1.0ohm under Joule mode, while resistance range is from 0.1ogm to 3.0ohm in Power mode. High end PC panel case and 14 little stars on each side of the mod makes it in perfect propertion. One year, one mod.